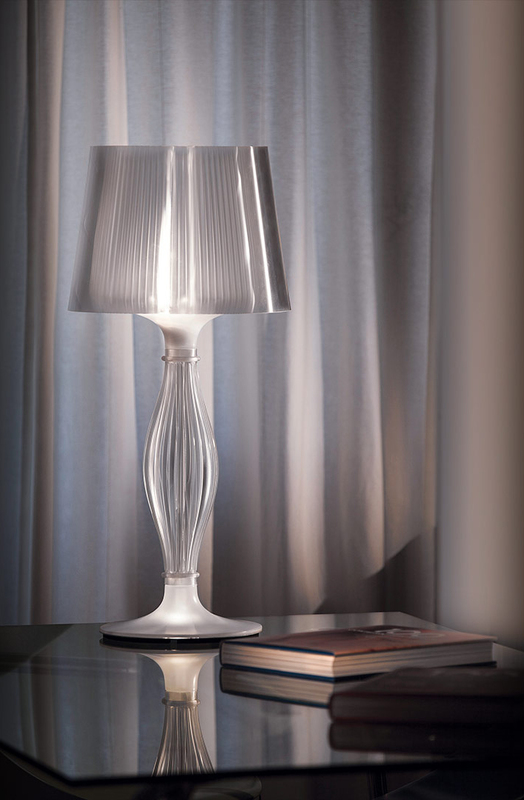 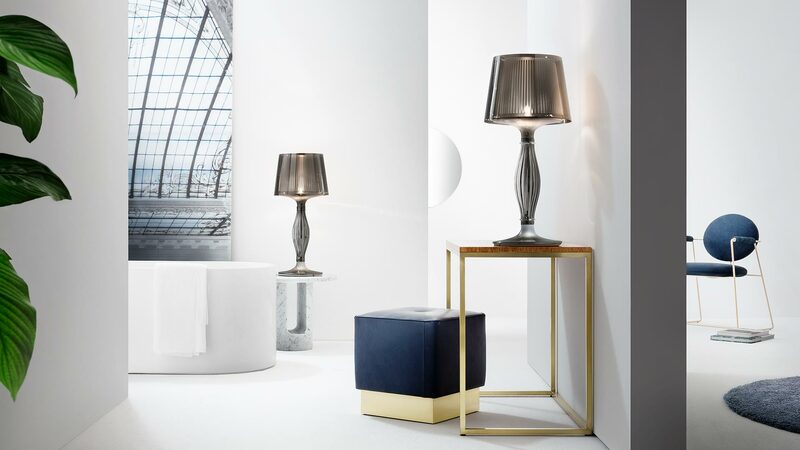 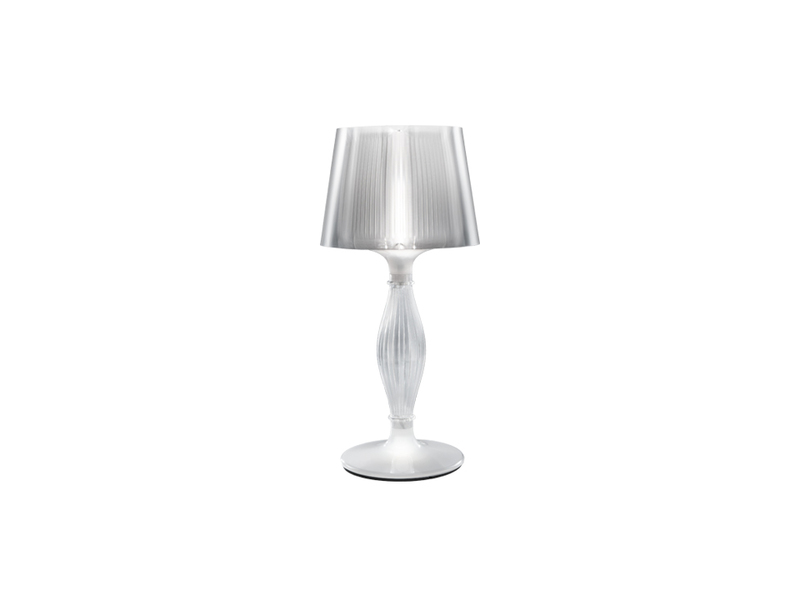 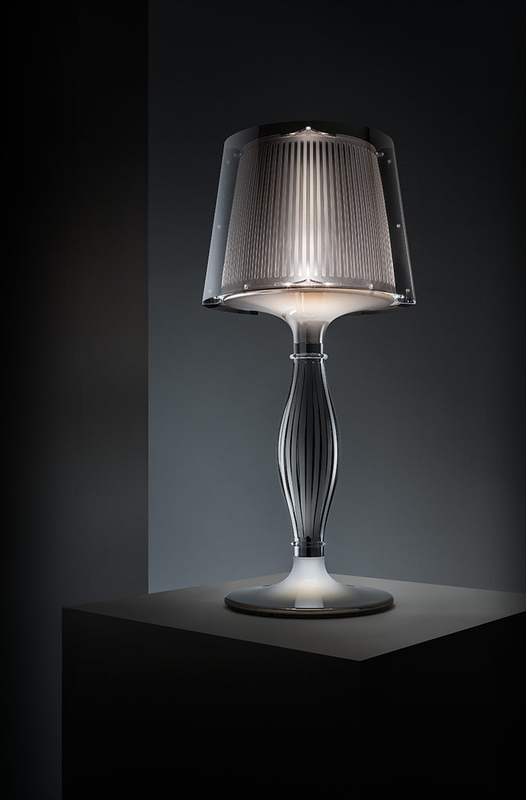 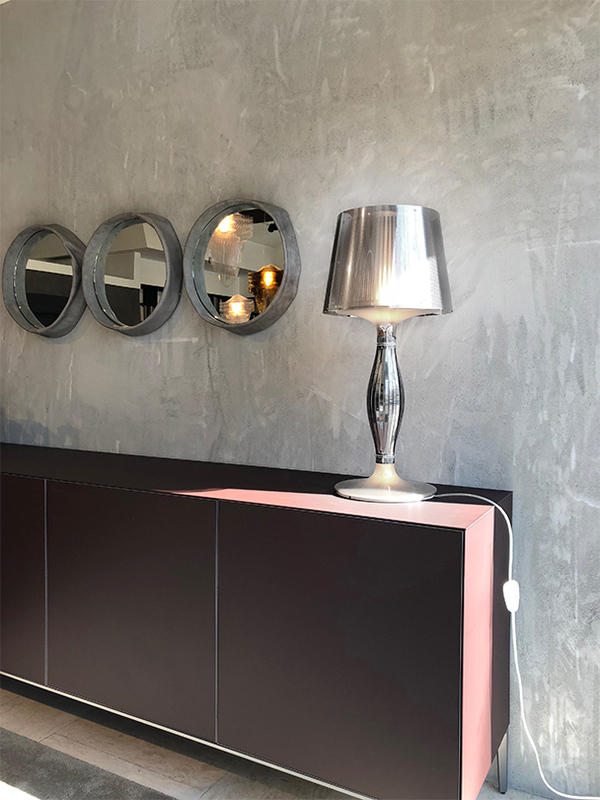 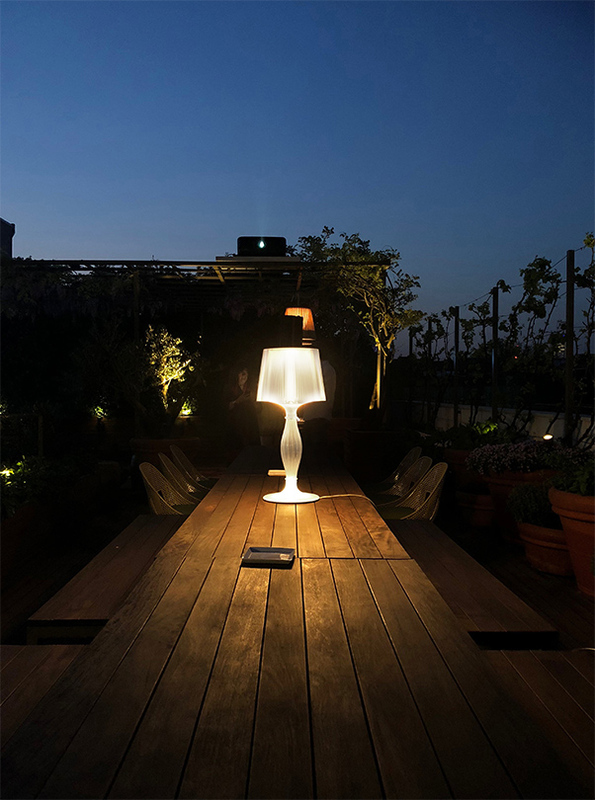 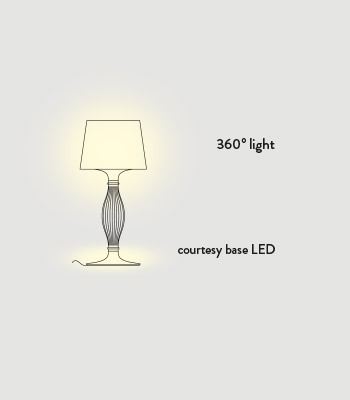 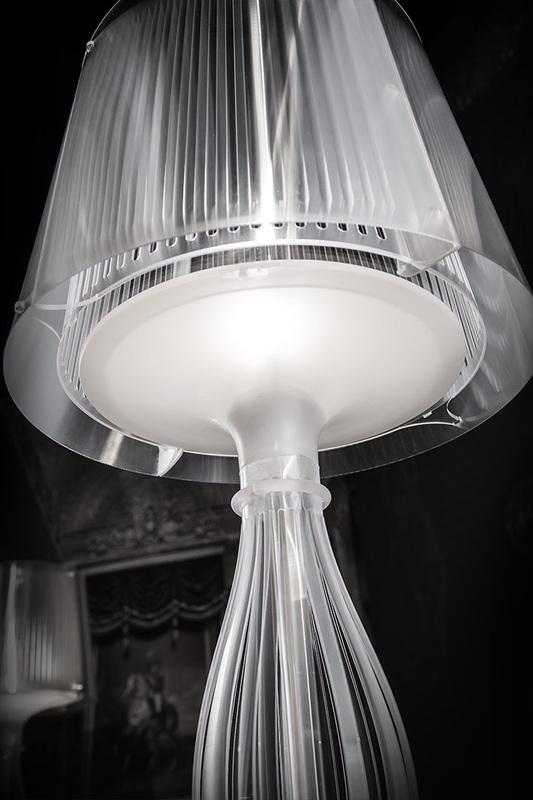 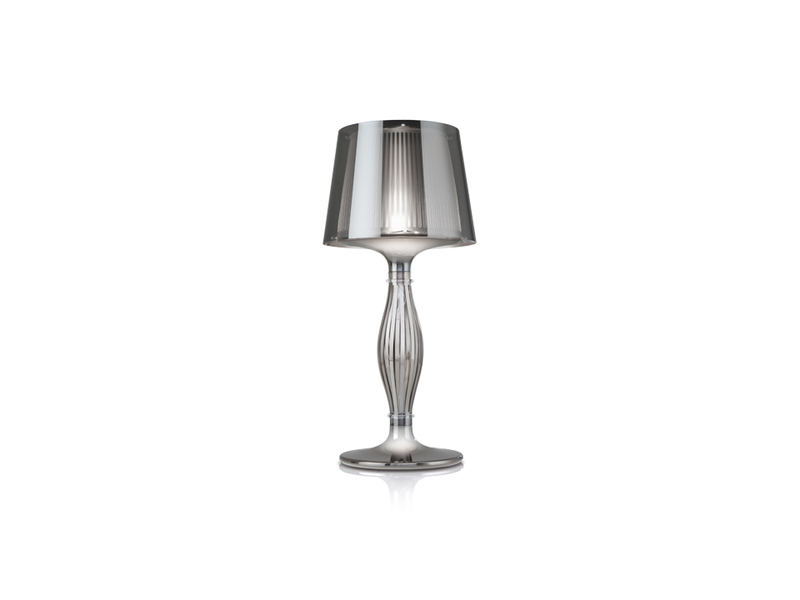 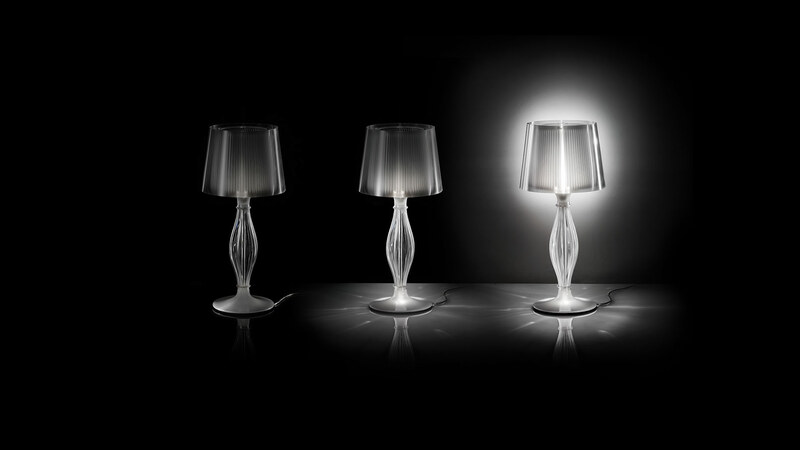 The masterpiece of the Liza collection is the iconic, baroque-inspired table lamp, available in the classic Prisma version, as well as a new Pewter version, both using Slamp’s patented techno-polymer materials. 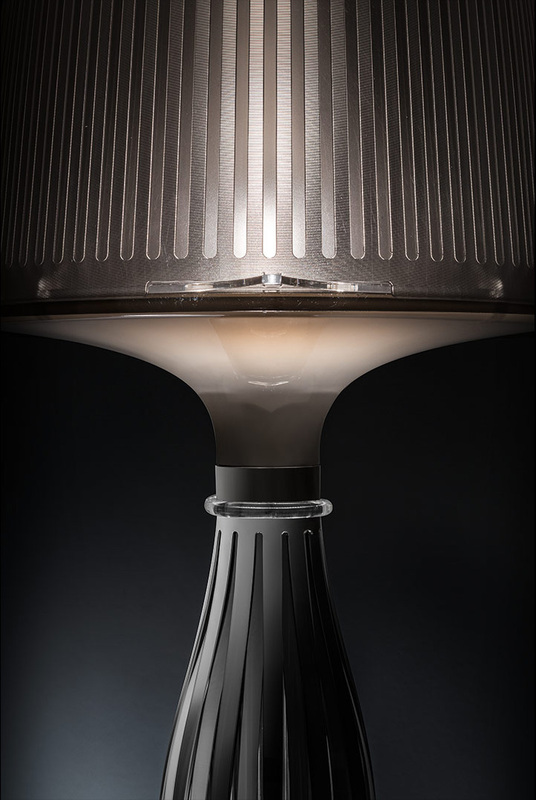 Liza has a double illumination system, with a courtesy LED in the base and bulb in the principle pleated shade, creating contrasts of light and shadows that give depth and warmth to any space. 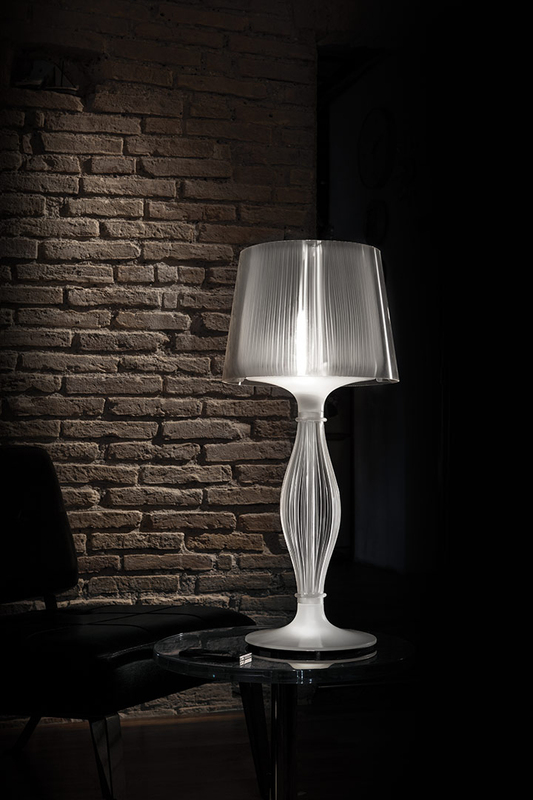 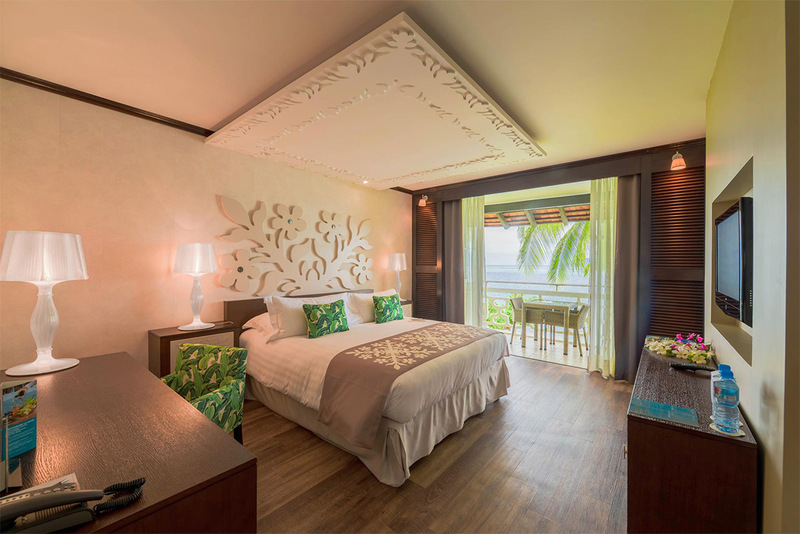 The collection also includes a floor version with an adjustable arm and a suspension with subtle, vertical incisions. 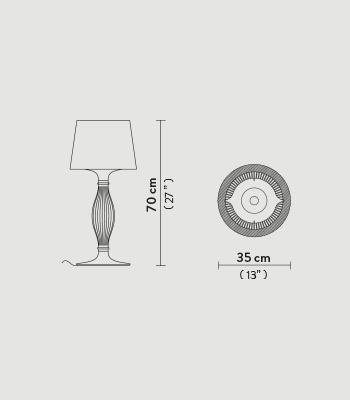 Size: Ø 35 cm x h. 70 cm / Ø 13" x h. 27"